You and all your tour companions can plan to spend several lei hours visiting the Westfield Carindale. It is a really a classy shopping center that not only satisfies the utter shopaholics but offers family entertainment too. This plush shopping center got opened in the year 1979 and still now it is offering matchless shopping experiences to all. You can spot many eminent brand outlets here that offer a huge array of products such as apparels for men, women, and kids, toys and playing units for children, international cosmetics collection, electronics and home decor items, sports gears, books and much more. A good number of restaurants and movie theatre can also be accessed in the Westfield Carindale. Great selection of shops and eateries, with the option to sit inside or outside at shaded tables. Easy to get around and spacious walkways, not crowded with pop up temporary shops or people hassling you by spruiking and trying to stop you, like at many shopping centres. There is a local library branch in the centre which is very handy. I don't live this side of town but travel because it's a more pleasant experience. I love shopping and the experience of going to the shops and feeling the products and trying on the clothes. (Not a big online shopper at all) Westfield Carindale provide a great variety of stores, high end, middle and budget so accommodating to all budgets. Always easy parking and array of places to eat if you are just meeting up with some friends. 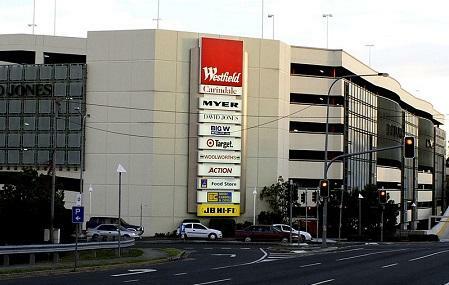 Although I live in Melbourne, I usually visit the Westfield Carindale when I visit my parents in Brisbane. It has a vast range of shops and cafes. I have even found cafes that serve coffee that are decent enough to satisfy Melbourians. The challenge I usually suffer is remembering where places are, how to get there (given the infrequency of my visits. So I strongly recommend that you take careful note of where you parked your car, it is quite a big centre! Everything you need under one roof, great parking and very easy to navigate yourself through the shopping centre. Great coffee shops and restaurants too.